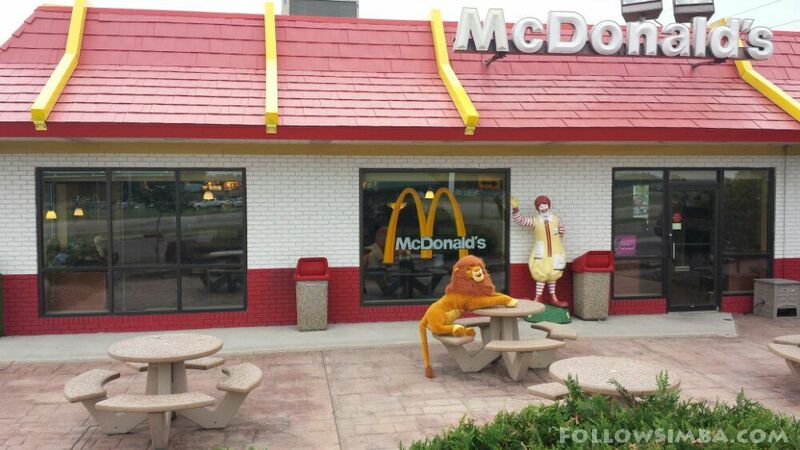 Simba in front of McDonalds in Fairmont Minnesota. 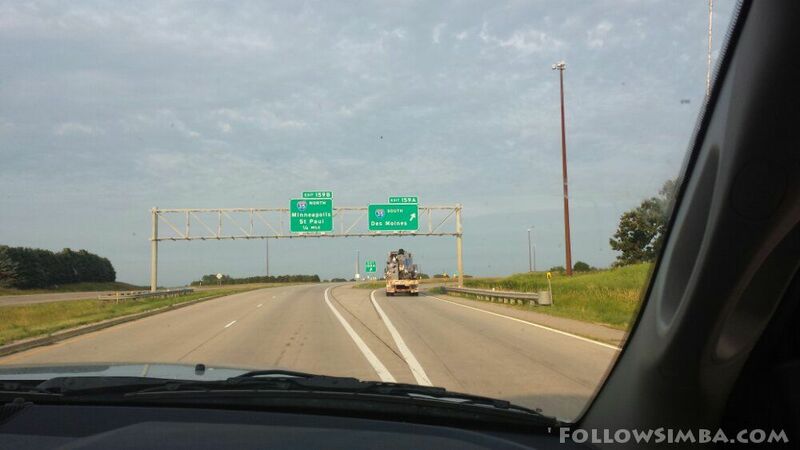 Not much to see along I-90 through southern Minnesota other than the Hormel Foods museum of Spam in Austin, MN. Simba wasn’t much interested in spam and did not like all the mosquitoes much. So Simba headed on through Minnesota to the Mississippi river.